Dibond hoardings – This is the most popular and recognised material to produce these graphics on. Traditionally on 4mm thick aluminium composite material (known as Dibond), we can digitally print direct or mount self adhesive vinyl to this substrate creating eye catching displays. Using Dibond is hard wearing and gives added durability for long lasting hoardings. We can also laminate with anti-graffiti film to protect against permanent vandalism damage. Foamex hoardings – Printing or mounting to foam PVC is a more cost effective way to produce hoarding graphics. Using the same technique as printing or mounting to Dibond, we do not compromise on the quality of the print. The only cost difference is down to the materials we use. Foamex hoardings are occasionally used for middle to long-term projects. Again we can apply an anti-graffiti laminate to protect the surface. 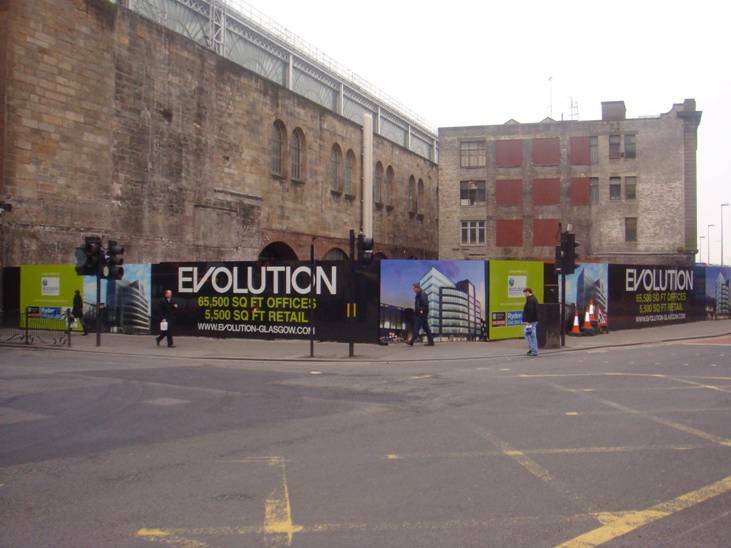 Correx hoardings – If your hoardings are only due to be up for a short while then you can use Correx for short term hoarding graphics. Usually only up for a week or so, Correx can be an ideal material used in a cost effective way. 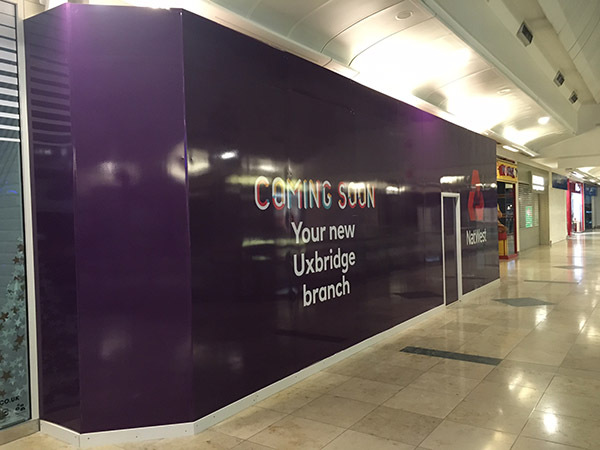 Flexible PVC hoardings – If there is currently a structure in place, i.e. a pre-made fence or blank hoarding panel, we can stretch a printed PVC banner around to make a perfectly flat and seamless graphic. Self Adhesive Vinyl hoardings – If the structure is already in place and it is a smooth, flat surface, we can produce Self Adhesive Vinyl graphics that can be applied to give a perfect finished hoarding. As you can see there are a multitude of ways to produce a hoarding graphic. Give us a call to discuss your hoarding print requirements on 01480 493666.